The 3800 and 5250 Air Carts are offered with electric drives and individual meters for on/off control and speed control. The section control features four sections that can meter up to three dry products and comes with turn compensation and supports both single and double chutes. 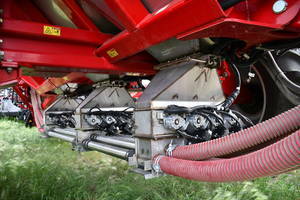 The unit enables farmers to reproduce overlap in seed and fertilizer application. 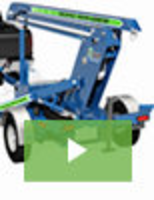 Panel Movers transport all types of materials.